Release date December 11th for the exhibition opening at the Groninger Museum, Groningen, the Netherlands. Front cover photo is a previously unpublished shot by Brian Ward. Reverse cover photo is a live shot from Carnegie Hall, 28th September, 1972 by David Gahr. 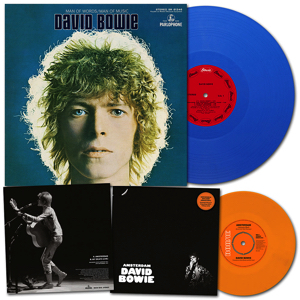 A limited edition pressing of David Bowie’s Man Of Words/Man Of Music album is to be issued on blue vinyl, alongside classic versions of Amsterdam and My Death as a limited edition orange vinyl 7″ single. 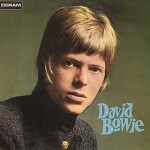 Man Of Words/Man Of Music was the US version of the 1969 David Bowie album on Mercury, aka Space Oddity. 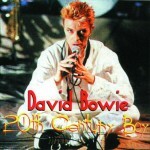 Amsterdam is Bowie’s 1971 cover of the Jacques Brel song (with lyrics translated to English by Mort Shuman). 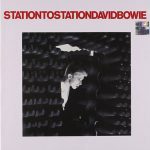 Produced by David Bowie and Ken Scott, the track was originally recorded during the early sessions for the Ziggy Stardust album at Trident Studios, in London. It was eventually released as the B-side of the Sorrow single in October, 1973. Despite the simple arrangement of Bowie’s vocal and Mick Ronson’s acoustic guitar, it’s a thrilling version of the song.